This image has clearly been altered: We have it on good authority that women cannot ride motorcycles. Collin is in the belly of the beast while Schmidty’s jaunt through the Lazarus pit has brought him back for another episode. Also, Marvel toys make no sense at all. Seriously, why would Iron Man even need a motorcycle?! Wouldn’t he be slower on it? It’s not like he’s dealing with a load of traffic while he’s flying around everywhere. Also, you Apple Watch aficionados at Starbucks better hide for awhile; you have a giant target on you right now. This is why we can’t have nice Google Maps! It’s time to put on make up . . . Collin. Natalie Portman is too good to be a thunder god? 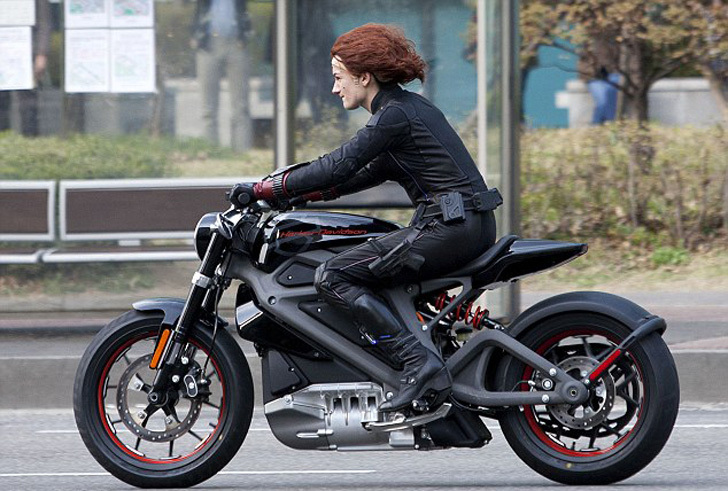 Black Widow on a motorcycle? That’s a MAN’S job! Zuke’s Favorite: The CW can do no wrong right now!